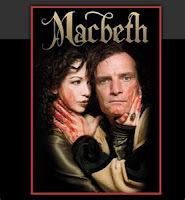 Dr. Angelo O. Subida, Psychotherapist: What Happened, Lady MacBeth? Classical literature is filled with psychoanalytic themes. William Shakespeare portrayed the tyranny of obsession through the character of lady Macbeth. Lady Macbeth is obsessed with feelings of uncleanness and contamination that led to compulsive hand-washing. As she repeats her uncontrollable ritualistic compulsion, she'd ring her hands and cry, "Out, out, damned spot!" Previously, she participated in the death plot of the king. Previous to her hand-washing repetition compulsion, she had touched the blood-stained knives that killed the king. Indeed, beneath lady Macbeth's manifested ritualistic compulsion, is an unresolved deeper psychological issue. She wants out, but she seems to feel there is no way. But ... there is a way out.